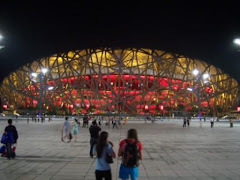 Olympic fans who also carry a torch for Caitlyn Jenner now have an opportunity to own a special souvenir from the Bruce era. 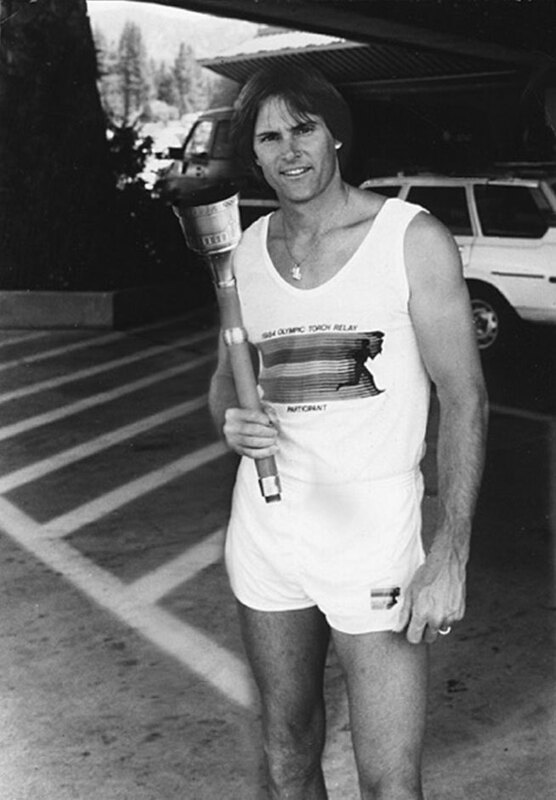 Eight years after winning decathlon gold at the 1976 Montreal Olympic Games, Jenner carried a 1984 Olympic Torch in the Los Angeles-bound Olympic Flame relay across the USA. 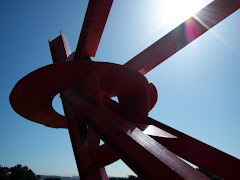 Jenner's leg was in the South Lake Tahoe area of Nevada, and according to an exclusive Associated Press wire report filed this morning by Ula Ilnytzky, that very torch will be sold at auction on July 30. In a phone conversation with Heritage Auctions' Director of Sports Auctions Chris Ivy, I learned the consignor of the Jenner torch contacted the world's third largest auction house only weeks ago, in June, about the same time the now famous Vanity Fair cover story announced Caitlyn's new name and likeness. Though the Jenner torch is not the first Olympic light stick to appear in a Heritage Auctions listing, it may get the most attention or bids. 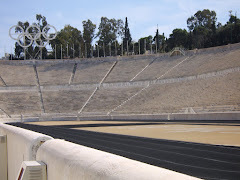 "We've sold about 20 Olympic torches in total, from [Games years] 1952 to 2004," said Ivy. "This one is special." LA84 torches typically sell in the $1,000 to $2,000 range, depending on where and when it was carried or the person who held it aloft. Ivy said their auctions, including a torch carried by Ozzie Smith, typically sell in the $3,000 to $5,000 range. So why would Jenner's fetch an auction estimate of $20,000 or more? "Perhaps no athlete in history has traveled a more winding road through the various states of celebrity than Jenner," said Ivy, in a press release. "This is the first major piece of Jenner memorabilia to surface [since her transgender status was announced] and we expect collectors will find it every bit as significant as we think it is." The consignor for the torch is Robert H. Lorsch, described as "a marketing and promotion strategist who is also well-known for his work as an entrepreneur and philanthropist — who orchestrated the South Lake Tahoe leg of the relay and secured Jenner's services for the program," according to the Heritage press release. 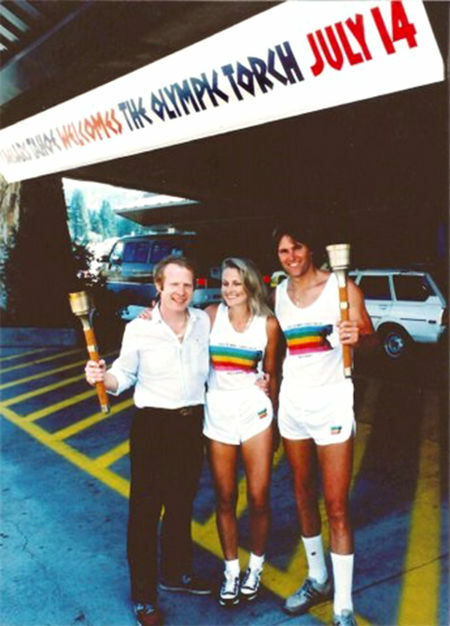 Lorsch approached Jenner on behalf of the management of Caesars Tahoe Hotel Casino, "which had paid handsomely to redirect the 1984 torch relay route through its scenic environment, to contribute to its program benefiting America's youth," according to the release. As an LA84 Torch Relay spectator, it was always my impression -- from media reports of the day -- that torchbearer applicants were required to raise more than $3,000 for a local charity to earn their running segment. 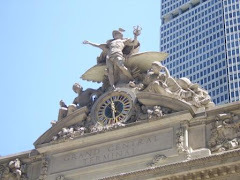 A quick check of Peter Ueberroth's book "Made In America" confirmed businesses could also sponsor segments, and though Caesars is not specifically mentioned in Ueberroth's text, it makes sense they would have sponsored a large block of runners. 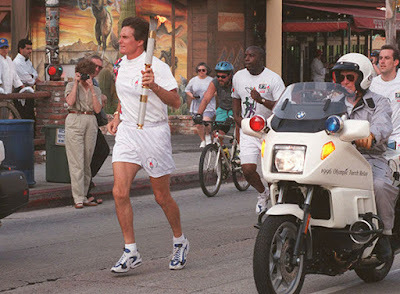 Jenner carried the torch to the state line, according to the press release. 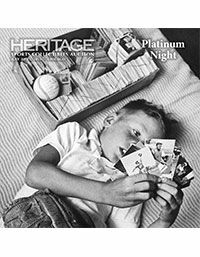 A Heritage employee since 2000, Ivy mentioned there are other Olympic items in the July 30 auction. 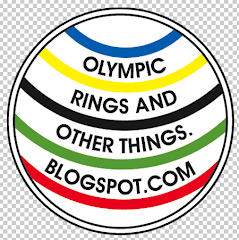 A peek at the site shows that the Jenner torch is already at $5,500 (from a $5,000 opening bid today), and a Team USA Olympic Basketball signed by Michael Jordan and fellow players is now at $950. 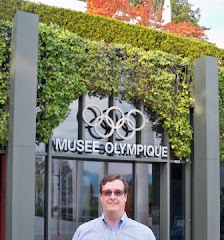 I wonder who owns Jenner's 1996 Atlanta Olympic Torch (see photo below) and whether it may soon appear at auction for a perfect pair.